Delicacies Gourmet began twenty years ago in the heart of historical Roslyn Village. Two longtime "Deli Guys" Jimmy and Rich found the location previously a candy store. 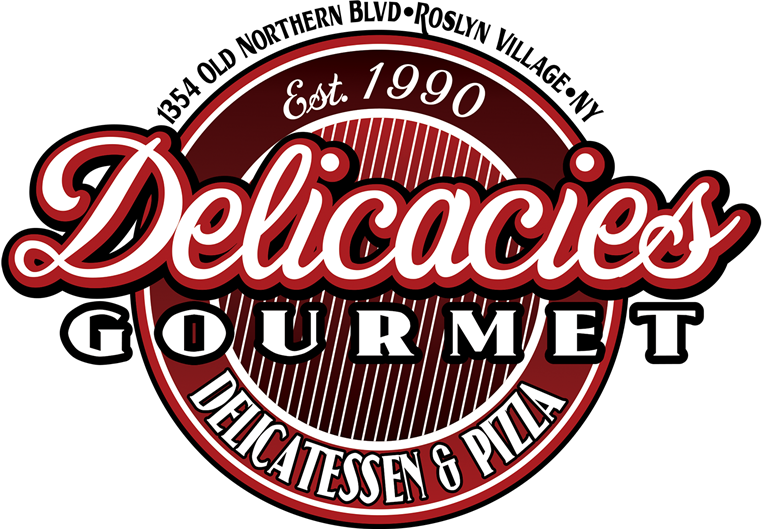 Since its original renovation, Delicacies Gourmet has strived to offer a diverse menu of high quality foods and premier services to the residential and commercial communities in Roslyn and surrounding towns. In early 2008, new renovations on the delicatessen were completed. Not only have we expanded our store we also have many new and creative food choices! Our service is faster, the store is new and cleaner and we are now computerized professionals. Our customers can set up a house account so they can just sign and go! When the dust settled on the construction we impressed the most critical critics...ourselves! There are many ways to measure the success of a business. At Delicacies Gourmet we believe our success is based on the relationships we share with our customers for over twenty years. Understanding what a customer wants allows us to constantly make improvements to our menu, service and the store. That is why we have a tremendous selection of foods and products so our customers can have all the choices they want and need. We only us the freshest vegetables, fruits and provisions available which are delivered to us daily. We have recently expanded our Delicatessen again! Now our customers have a choice of Deli or Pizza. We have a full service Brick oven Pizzeria. The Pizza menu includes some of your favorite Italian dishes from Calzones to Freshly prepared dinners! So you can dine in, dine out on our outdoor patio overlooking the pond or take home some of our awesome homemade prepared foods. We have 10 iced urns full of Iced Coffees and Iced Teas ~ We have been told that our gourmet hot & iced coffees "are the best"
Thank you for choosing Delicacies Gourmet!